If you have any questions or are interested in receiving information about purchasing property in or around Branson Missouri. Or have property that you would like to advertize and Sell, Please Let us Know how we can help. 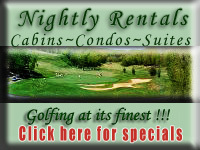 Hotels, Motels, Villas, Lake Front Resorts with Marinas. With Many Area Golf Courses and Thousands of Music Show Seats. Enjoy the Scenic Wooded Hills that Branson Offers its Visitors. and Complete Branson Missouri Area Information. All Around Real Estate Referral and Relocation Services. Better Serve You " The Customer "